Without further ado, let’s dig into the findings. During the job search, not all days are created equal. The beginning of the week has ambitious volume. Monday and Tuesday each have double the applicant volume of Saturday and Sunday. 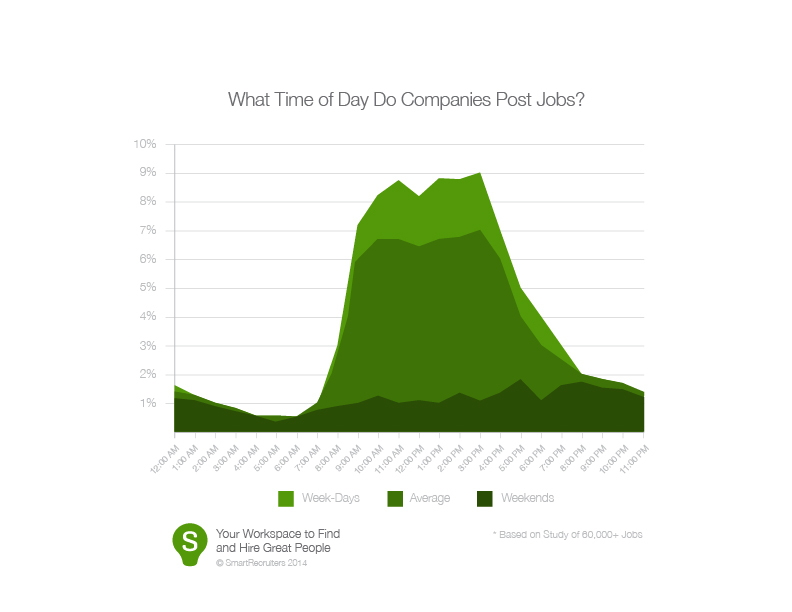 Tuesday is the most popular day to post your job opening. Only 9% of jobs are posted on the weekend. 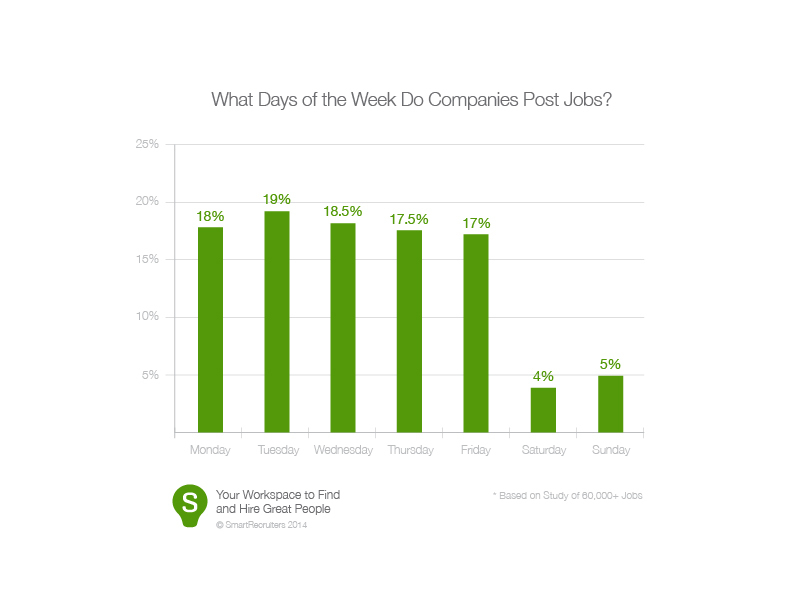 Each weekday is within 17-19% of total job posting volume, which is not a large variation. But take a look at the graph above, Monday through Wednesday account for 53% of candidate volume. I would consider posting your job on Sunday night or Monday morning so that your first three days can reach the largest volume of job seekers. Now, let’s dig further into the time of day. This graph is broken down by weekend, weekday, and overall average. Interestingly, on weekends job seeker volume steadily increases throughout the day, reaching a peak volume at 8:00 pm; whereas, during the week job seekers reach peak volume at 12:00 pm. Companies on the other hand, post jobs in a manner that closely resembles traditional business hours. 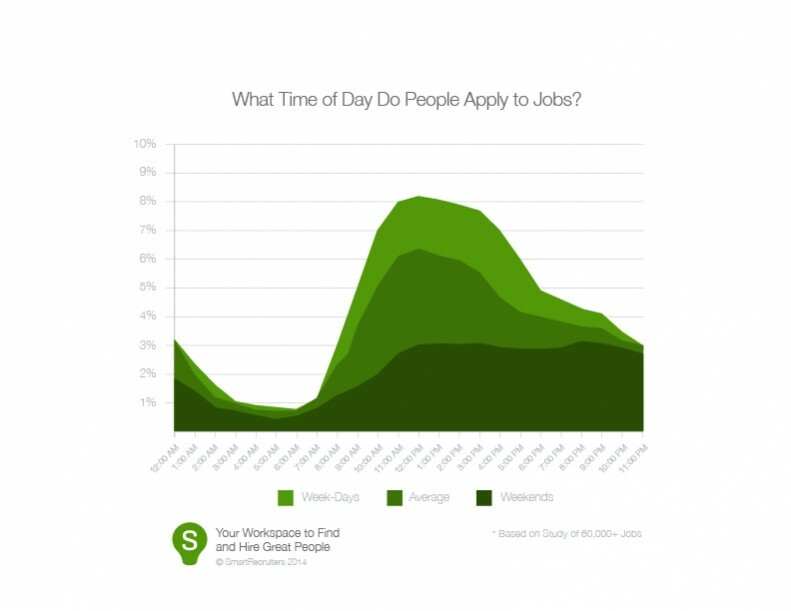 The vast majority of jobs are posted between 8:00 am to 6:00 pm Monday through Friday. It’s interesting that we see a dip in job postings during lunch time because it’s the peak time for receiving job applications. Hiring managers cover a vast majority of job titles, which means hiring too often is treated as an afterthought. Notice the sharp uptick in job postings from 3:00 pm to 5:00 pm as hiring managers attempt to squeeze recruiting into the end of the workday. 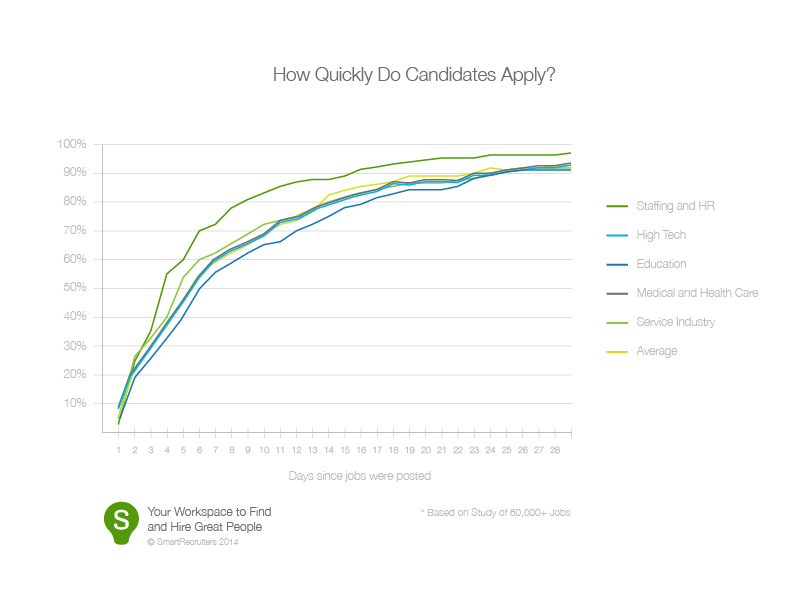 Across all jobs, 70% of candidates apply within the first 11 days. People who hire know that recruiting is all about timing. Staffing and HR find and apply to jobs faster than any other industry. Also notice that High Tech candidates (an in-demand demographic) is slower to apply to jobs. 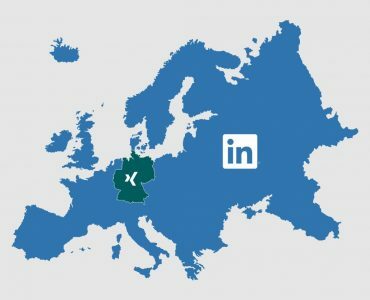 With High Tech, companies often open more sourcing channels, such as recruitment firms and employee referrals. But what is recruiting leading up to? Making that next hire. 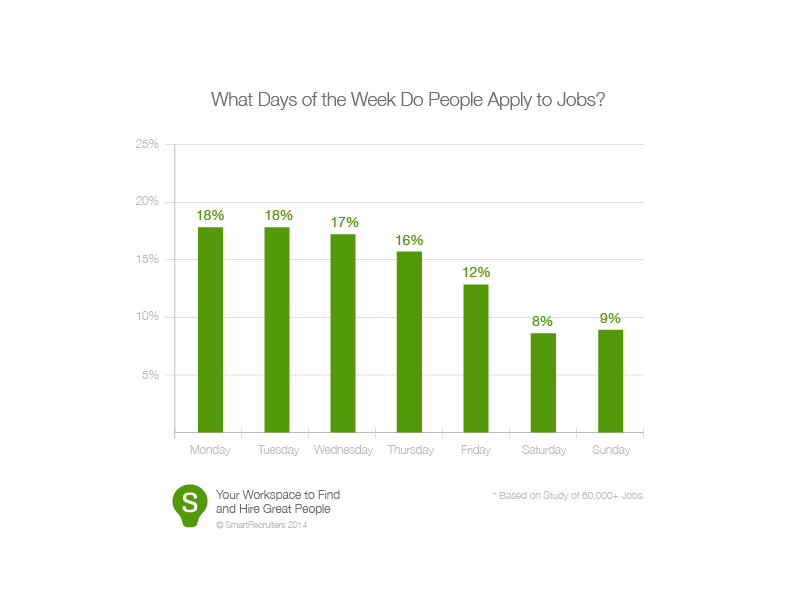 96% of hires are made during the week. And Monday is the most popular day to make a hiring decision. This makes sense to me, as starting a new chapter is your career or creating a new role is much like starting a new week. Also note Friday, is the lowest weekday by a wide margin. Have you ever hired on a Friday? What’s your favorite day to hire? 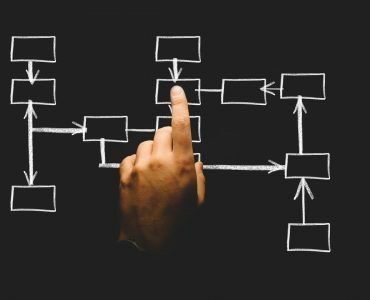 What do these ‘When to Hire’ graphs teach you? Lets keep the conversation going. You are welcome to republish any of these graphs on your blog or website with proper accreditation. If you have any data requests, tweet @SmartRecruiters. Lets make a timely and data informed world of recruiting. Part scientist and part artist, Kasia leads big data across the SmartRecruiters hiring success platform.